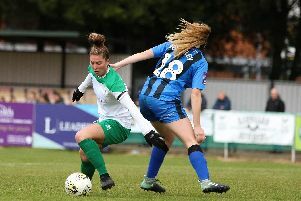 Chichester City Ladies’ FA Cup trip to Crawley Wasps Ladies was postponed because of a waterlogged pitch. After two pitch inspections, the referee decided the Oakwood FC pitch was unfit to play on. The match will take place this Sunday (Dec 9) at 1pm,but will now be on the artificial pitch at Worthing's Woodside Road. The winners will travel in the third round to Coventry United Ladies, who are top of the Women’s National League southern premier, a spot above Chi Ladies. Round three takes place on Sunday, January 6.